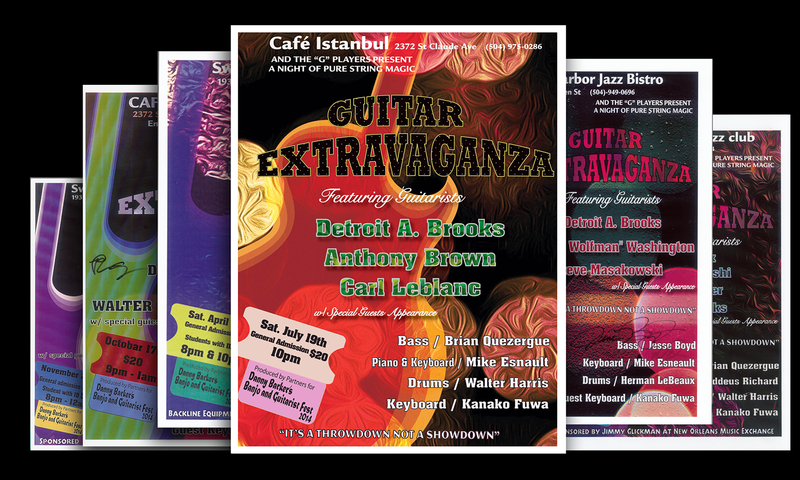 When guitarist Detroit Brooks wasn’t hitting us with a killing vocal on Roberta Flack’s “Feel Like Makin’ Love,” he was playing solo lines George Benson would have been proud of back when he was still a guitarist. On Episode 309 of the Treme Series, one of Detroit Brook's original compositions titled "On My Way Back Home" was used in the show. Also, Detroit Brooks is co-composer of "Meet Me at the Cross-Road" (Jeremier Blues) and featured on guitar and vocals in the new feature film "The Pawn Shop Chronicles", that will be released in 2013.